1. 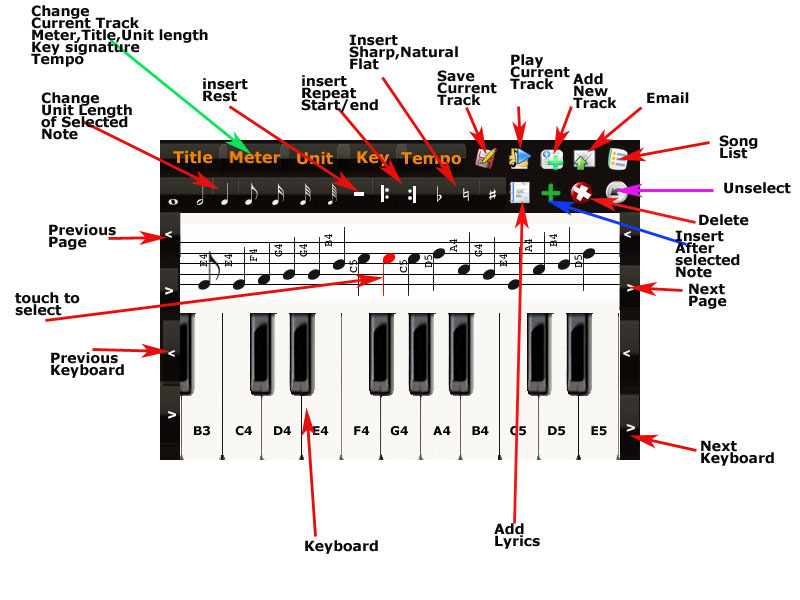 Enter the meter and Unit note length first before compose. 2. Every song can have multiple tracks. When you start to work on composing, you are working on one track of one song. 4. You can always come back and edit later by click on the list icon. 5. All songs you edited is saved in the list. 6. 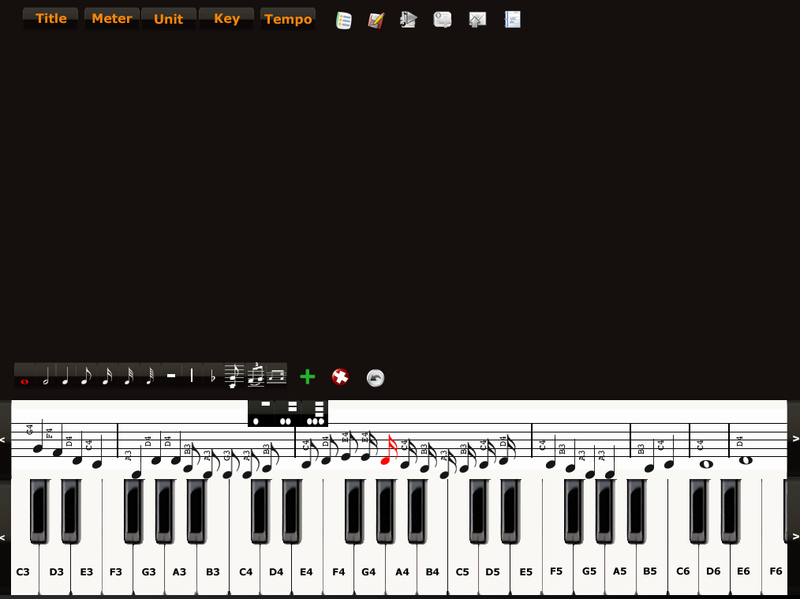 It will take a while to generate music sheet and songs. 7. All songs are generated for playing is a low-quality sound with smaller file size. 8. There is only one global unit note length. However, if you change the note length on the bar, it will keep it until you deselect it. 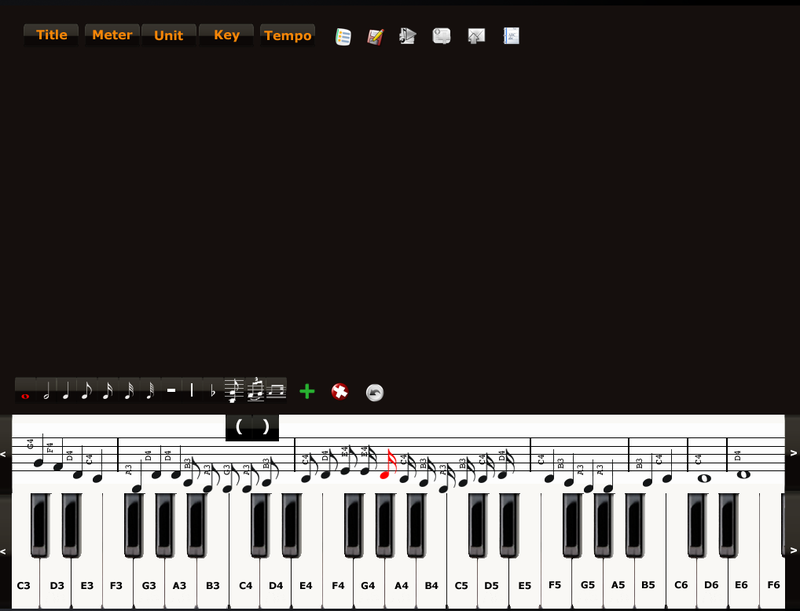 For example, the global unit length is Â¼, you select unit 1 note on the top-bar, every time you press a key, it will generate a total of 4 of that notes in music sheet. 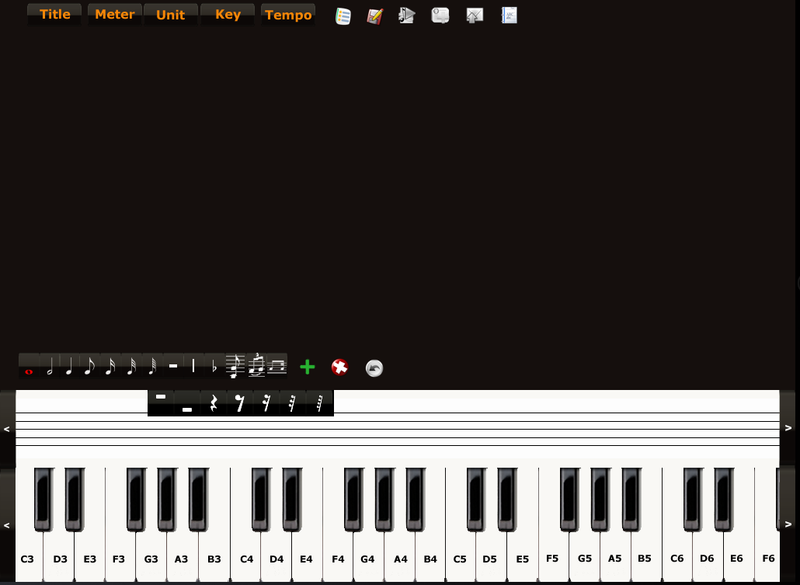 Always select the note unit length and start composing. How to add Dotted Rhythms? How to add Tuplets, Tie, Slurs? 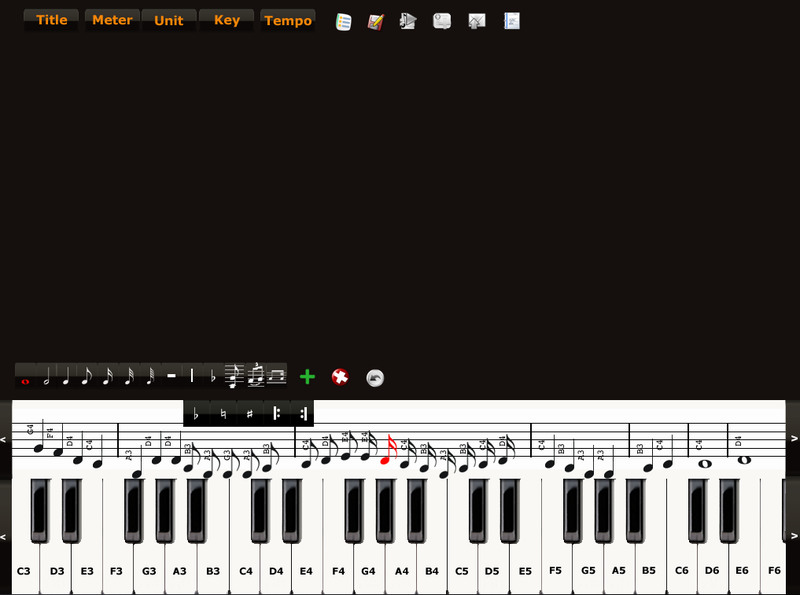 Chords can be coded with  symbols around the notes, e.g. 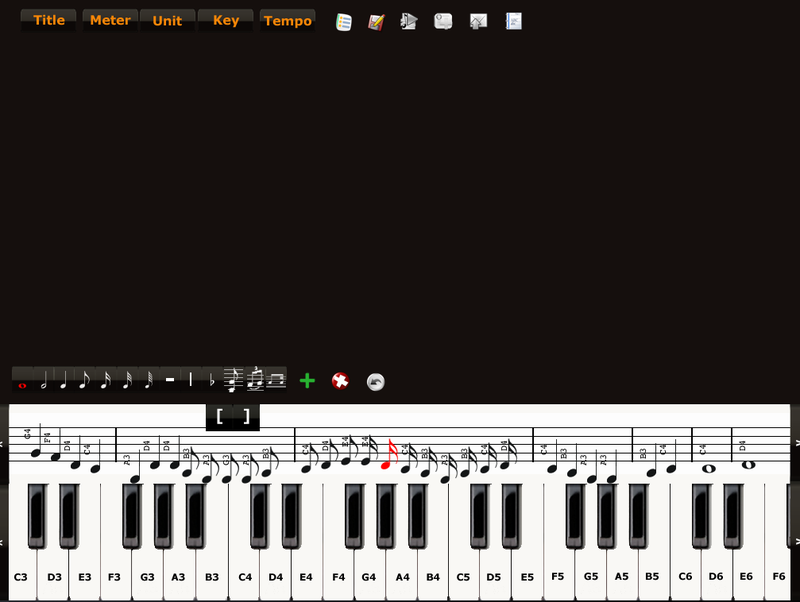 [CEGc] produce the chord of C major. They can be group in beams. Add Rests in different length.